Does the job much faster and easier than conventional fan clutch wrenches. No holding wrench is necessary. The set includes 7 driving wrenches that fit Ford, GM and Chrysler. 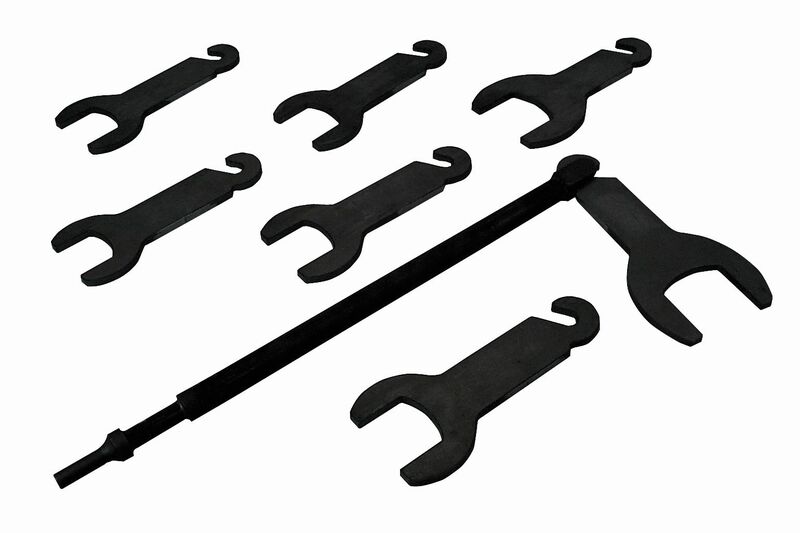 Driving wrench sizes include: 36mm, 1 1/2", 1 9/16", 41mm, 42mm, 1 7/8" and 2". Use with an air hammer.